A half dozen families in the Jenkintown area established the parish in July of 1855. The first Rector was the Rev. Dr. E. Y. Buchanan, brother of the President of the United States. There was no church constructed at that time, so services were held in available buildings, such as the Jenkintown Lyceum (now the Jenkintown Library) and people’s homes. 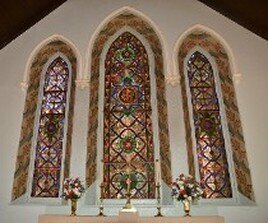 The Episcopal Church of Our Saviour in Jenkintown opened for services on June 20, 1858. We are part of the Episcopal Diocese of Pennsylvania, and members of the worldwide Anglican Communion. In the 1890s the church was remodeled and enlarged. A choir room was added in 1891 to accommodate a new boys' choir and a vested, adult choir. It was designed by the architectural firm of Furness and Evans, one of the most distinguished in the region. It opened in July 1891. Six years later the chancel was deepened by twelve feet, an enhancement that was made possible by a gift from Mrs. Beauveau Borie. It was consecrated on July 3, 1898. The nave was extended in 1905, leading to the installation of a stained glass window by the noted artist John LaFarge one year later. When eastern Montgomery County grew rapidly after World War I, the Church of Our Saviour grew with it. By 1946 it had 508 families and 864 communicants. Its Sunday School enrolled 148 students. In 1959 those numbers stood at 575 families, 918 communicants, and 163 Sunday School students. 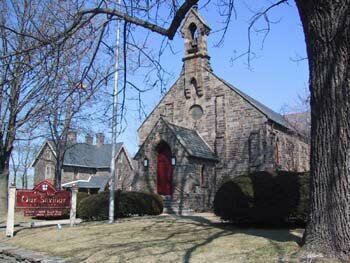 Aboout 40% of all the Episcopalians living in Jenkintown at that time were members of the Church of Our Saviour. 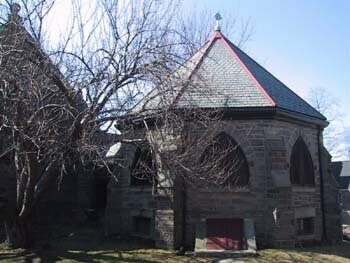 But the church also played an important role in the founding of other Episcopal churches in the area, All Hallows Wyncote (1909), St. John's, Huntingdon Valley (1956), and St. Anne's, Abington (1962). Like most Episcopal churches in eastern Montgomery County, the Church of Our Saviour has become smaller since the 1960s. But it remains a vibrant spiritual community. In 2012 it entered into a covenanted relationship with St. John's, Huntington Valley whereby the two congregations share a priest and collaborate on some social and spiritual activities. 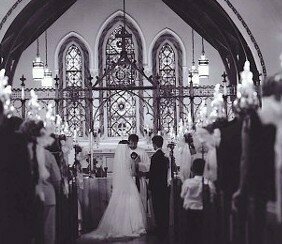 But each retains its standing as a parish in the Diocese of Pennsylvania.